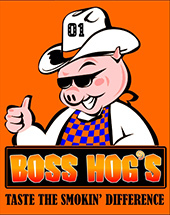 Boss Hog’s is a London-based company that provides comprehensive food services for those that enjoy the best in authentic barbeque. You are welcome to visit our restaurant in London, Ontario for a great sit-down meal but we can also bring delicious chicken and ribs to your home or event through our catering services. Most notably, we compete annually in Ribfests across the country with our three tractor-trailer stands. 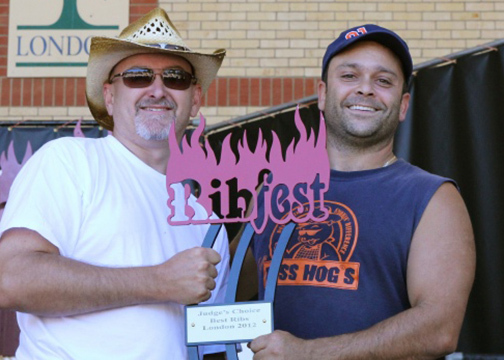 After winning more awards than any other barbeque company in the past few years, we’re considered to be the pride of the Canadian Ribfest Tour. With "Taste the Smokin’ Difference" being our team’s motto, it is our utmost goal to provide our patrons with the ultimate barbeque experience. Season after season we become even more successful through consistency, atmosphere and a customer service that is next-to-none. People continually ask what our secret is and it's actually pretty simple: the Rub, the Love and the God above!! !